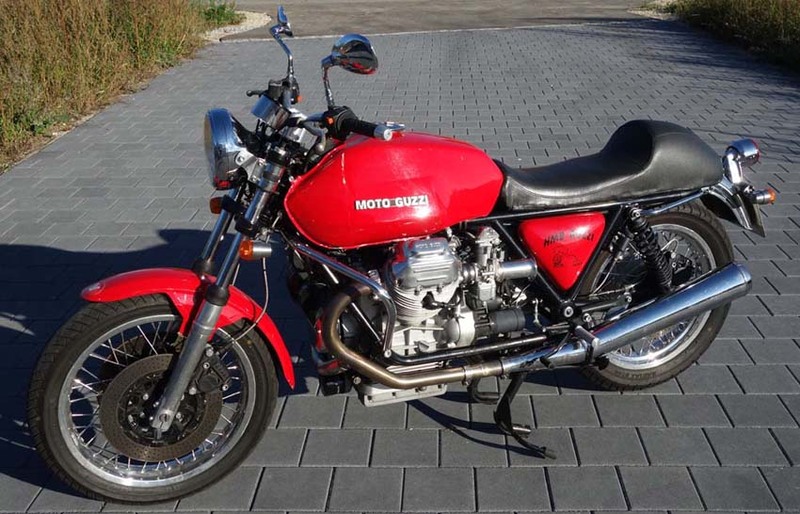 Of course we are curious about what happens to the parts once sold. 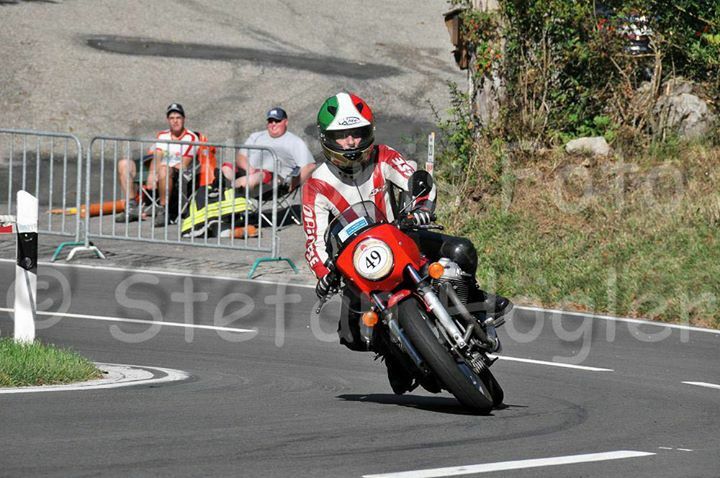 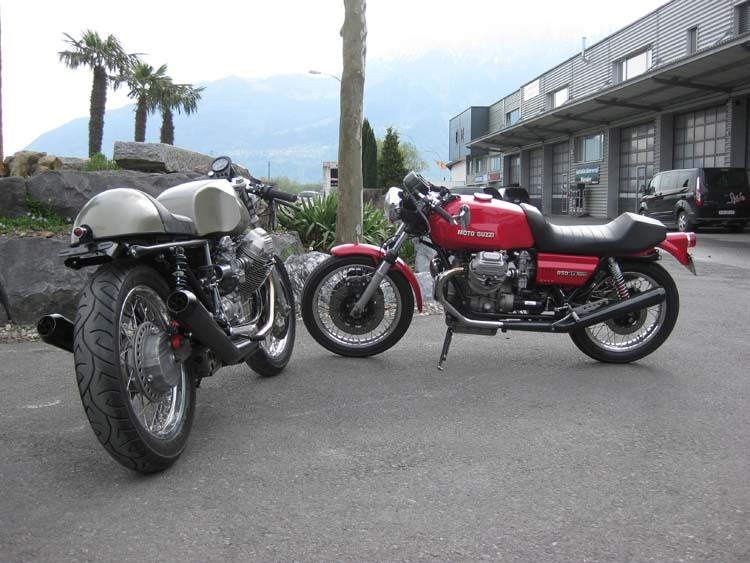 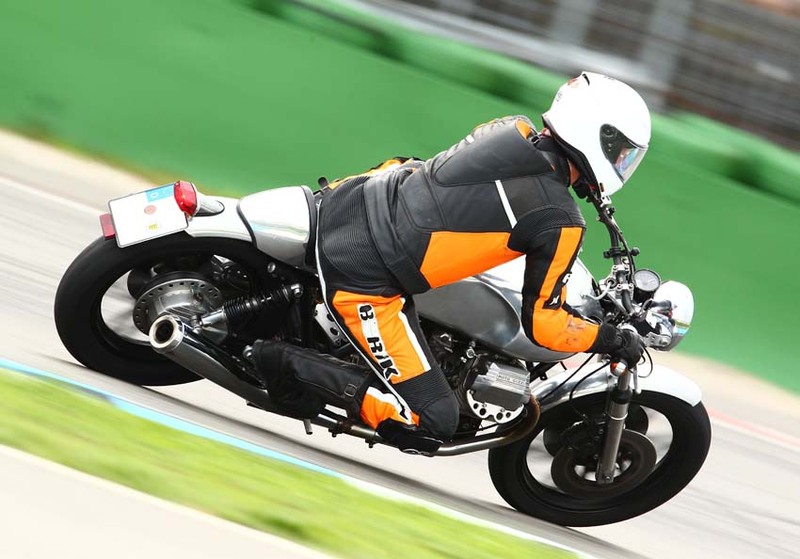 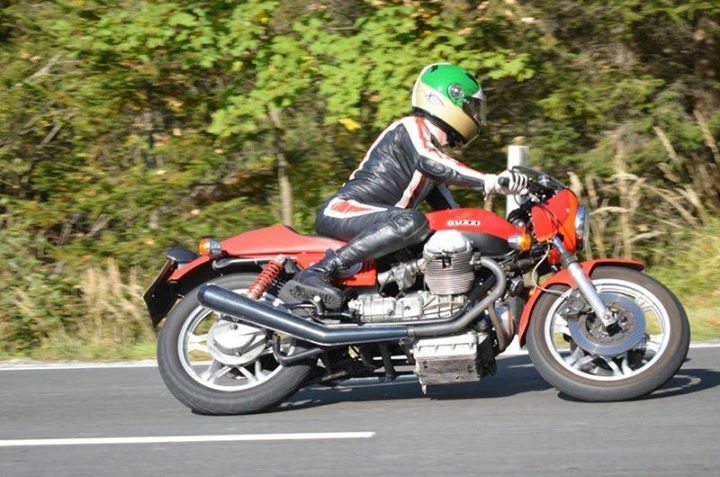 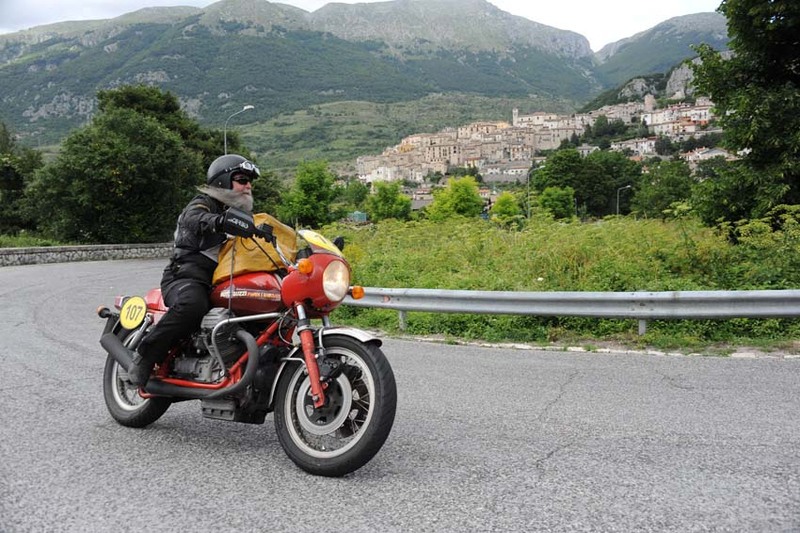 We want to know what your Guzzi looks like,how it is ridden. 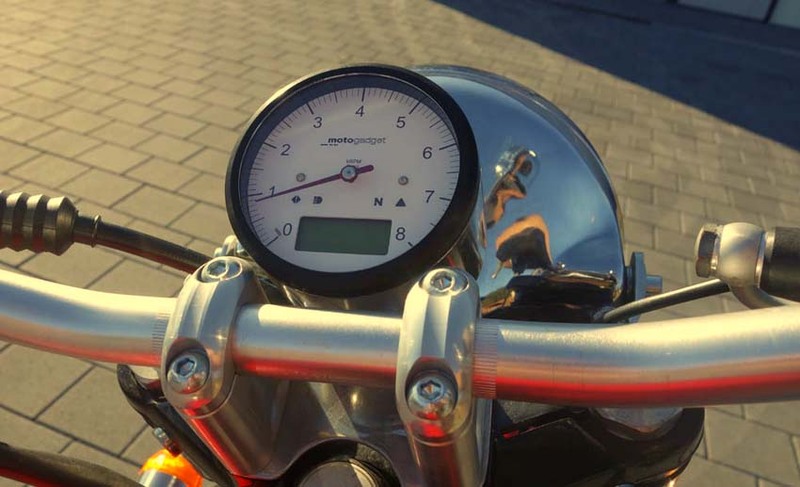 In no specific order we want to present pictures and stories, and we appreiciate new input. 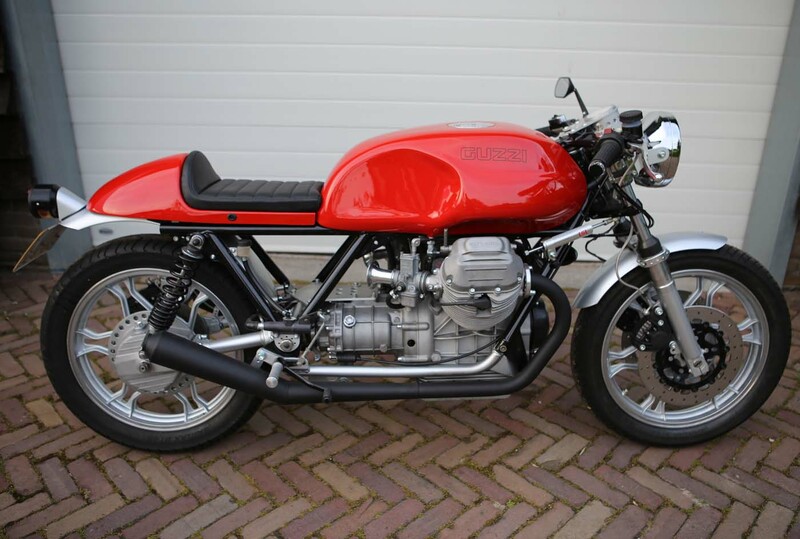 I shall start with my own Guzzi. 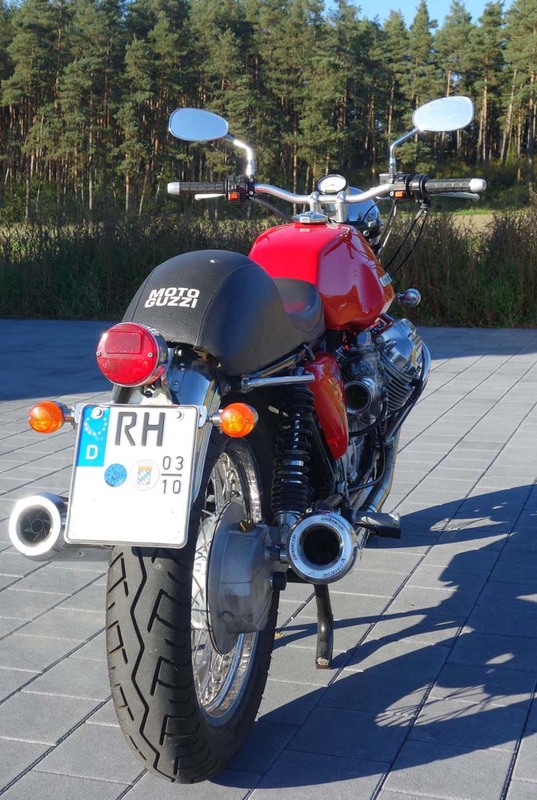 Many of you have seen the HMB-Roadster in the Press Reports, but as bike and rider became older some changes had to be made. 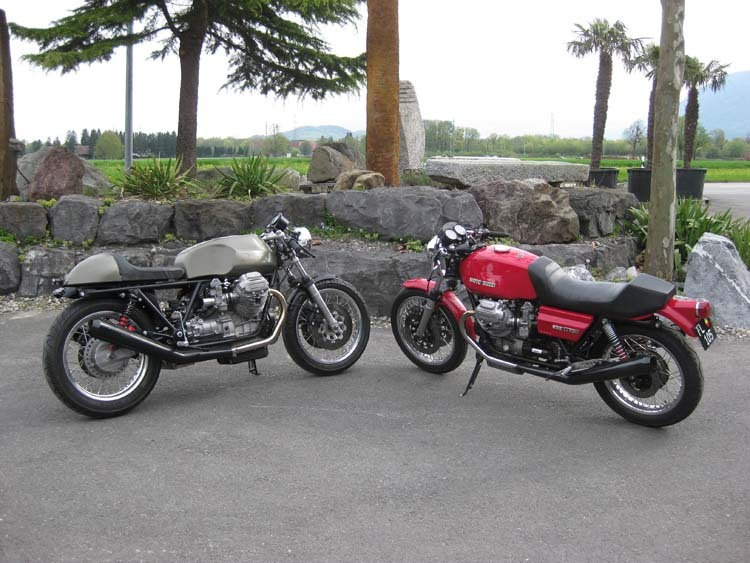 Basis 1000-SP, Tank LM-1, Seat V7-Sport raceversion (extremely rare) with V7-Sport rear mudguard. 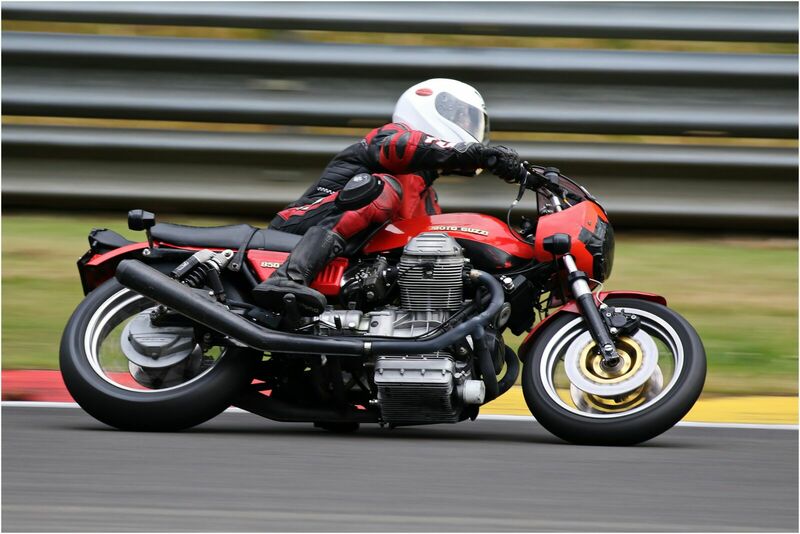 948 ccm, D-8.1 Camshaft, Combustion chamber optimized, Twin-Spark, coated valves, Agostini breather box, 42,5mm downpipes with interference. 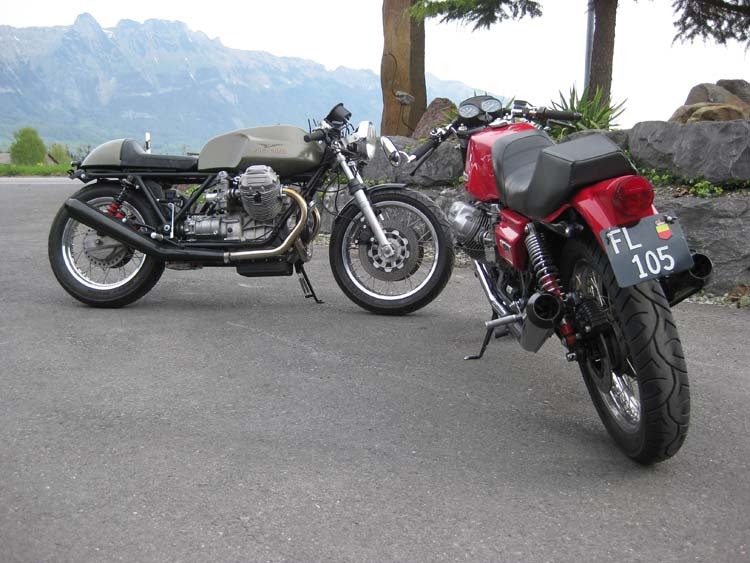 Muflers Lafranconi Competitzioni LM-3. 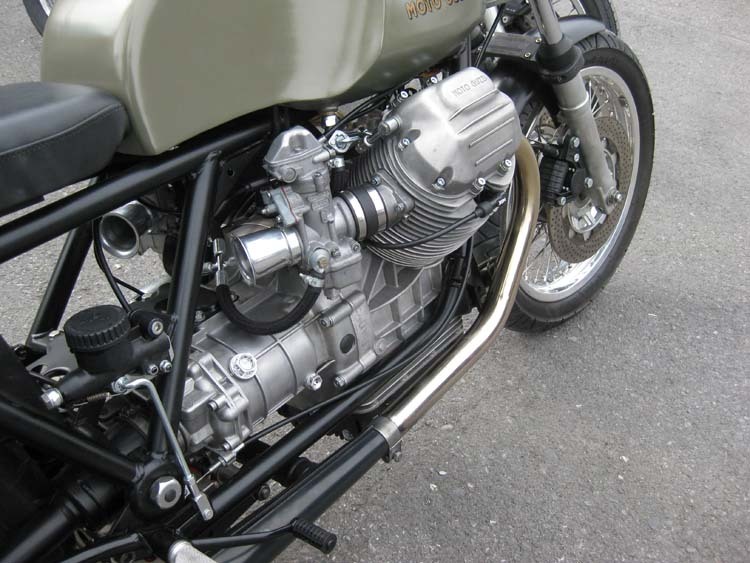 Carbs PHF-36 mit 120mm velocity stacks.